On May 22 not even torrential rain could stop nearly 250 guests from celebrating spring and ISH-DC’s mission. 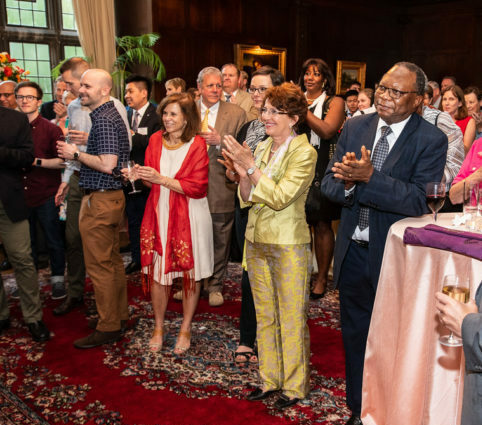 Foreign Ambassadors, Members of Congress, alumni, Board members, and friends joined our resident scholars from 28 countries for our annual Garden Party. This year, we were especially pleased to welcome leaders from International Houses across the United States, Canada, Australia, the United Kingdom, and Romania who were here for the International Houses Worldwide Director’s Conference, which you can learn all about here. Guests, including Laurette Jaeger, wife of His Excellency Kurt Jaeger, Ambassador of Liechtenstein; Isabel Vital, wife of His Excellency Domingos Fezas Vital, Ambassador of Portugal; and His Excellency Mninwa Johannes Mahlangu, Ambassador of South Africa. Guests were able to see firsthand the community we have built and our strong focus on cross-cultural understanding. This was also an amazing opportunity for our alumni to share the long lasting impact that living at the House has had on their careers as well as their personal lives. 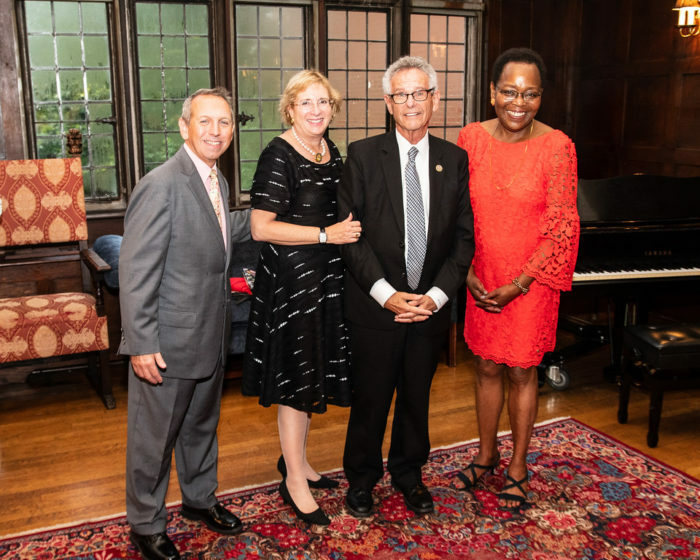 ISH-DC Resident Scholars Rose Twagirumukiza from Rwanda, Boban Markovic from Serbia (alumnus), Maria Tilander from Sweden, and Tamara Schranz from Austria. Our residents were able to connect and have inspiring conversations with our guests that are extremely successful in their career fields. This opportunity to network with various Washingtonians and diplomats is a vital part of their experience living at the House that prepares them for the future. The Garden Party was a wonderfully successful event. 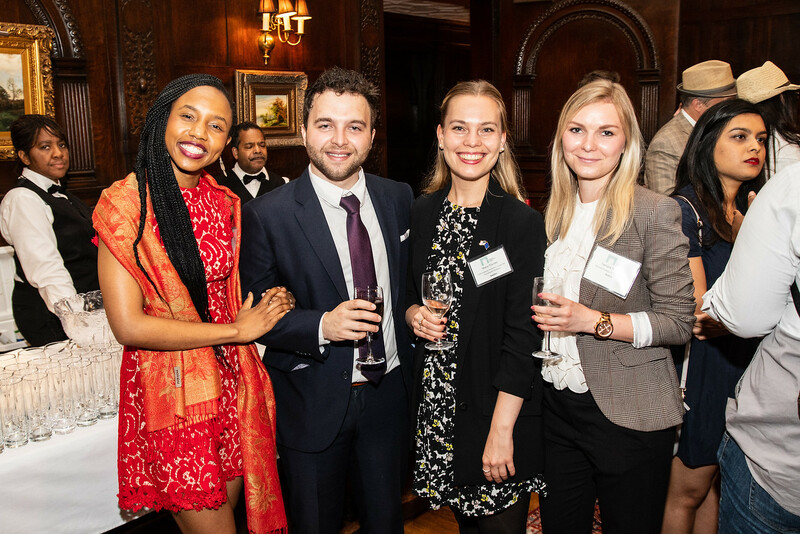 It may have been dark and storming outside, but residents, alumni and guests alike lit up the house as they shared their love for International Student House of Washington, DC.